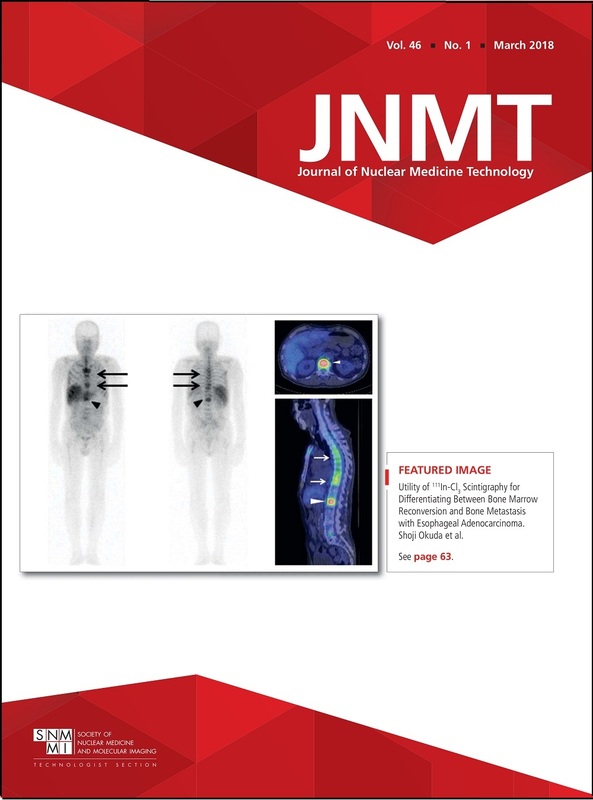 The Journal of Nuclear Medicine Technology (JNMT) has a new cover design and new features under the leadership of Kathy Thomas, MHA, CNMT, whose five-year term as editor began in January. Thomas has implemented a team approach to developing content. Associate editors, supported by consulting editors, are now responsible for primary content in each issue. Brief Communications: Shorter than a research manuscript (maximum of 2,500 words), they are used to share a new technique, teaching point or results of a pilot study. Educators’ Forum: This new section addresses the needs of educators and students. Practical Protocol Tips: Concise imaging or therapeutic protocols, they are designed to be copied or ripped out of the journal and incorporated into daily practice. They will often highlight a journal article or a procedure common to most clinical settings. Quality and Practice Management: This section will feature techniques and information that advance patient care. Professional Development: Educational information related to management skills and techniques, as well as alternative career pathways, will be presented. Radiopharmacy and Adjunctive Medications: Pharmaceutical and radiopharmaceutical information will be provided. Also new this year: The JNMT Twitter Club! Open to both members and nonmembers, it will launch April 19. Select scientific articles published in JNMT will be posted on the SNMMI website. CE credit will be free to members who successfully complete the required post-tweet exam, with nonmembers paying a nominal fee. This is an exciting time for the journal! With the longtime goal of being covered by Clarivate’s Emerging Sources Citation Index now achieved, our sights are set on further strengthening JNMT. For this, reader participation is essential; more feedback and more peer-reviewers of articles are needed to take the journal to the next level. Interested in getting involved? Contact Kathy Thomas or, to volunteer as a reviewer, visit the JNMT manuscript submission website.